Bicycling is a popular recreational pastime that a number of New Hampshire residents enjoy both for exercise and environmental benefits. As bicycling allows one to enjoy the fresh air and beautiful scenery while also fueling one's eco-consciousness, more people utilizing this alternate mode of transport also means an increased risk of being involved in a bike accident. According to the National Highway Traffic Safety Administration (NHTSA), there were 630 fatalities due to bike and motor vehicle crashes in 2009; this equates to just under two people every day of the year in the U.S. Though bicycle accident-related deaths represent fewer than two percent of traffic fatalities, the dangers of riding a bike are still apparent and bicyclists should exercise caution when traveling the open road on two wheels. According to New Hampshire law, bicyclists have the same rights, privileges, and responsibilities as individuals driving cars. Every person riding a bicycle shall have the rights and be subject to the duties applicable to the driver of any other vehicle under the rules of the road. Essentially, traffic laws apply to bicyclists as well, so to protect your safety and the safety of your loved ones, obey the laws and rules of the road. Wear a bike helmet! Though NH law only requires riders under 16 years of age to wear one, helmets can protect against serious head and brain injuries, which can cause permanent damage. Maintain control of your bicycle. Primarily, this can be done by ensuring your bike is the right size and is properly adjusted to fit you. Also, make sure your bicycle is in excellent working condition, which can help prevent a crash. Be visible and alert. Ride defensively and carefully, and use hand signals when making turns or changing lanes to alert traffic around you. At night, use lights and reflectors, and increase your visibility by wearing light or bright colored clothes. Ride with traffic. Bicyclists should always ride in the same direction of traffic which will make you more visible to motorists who are changing lanes or entering the road. Bicycle accidents can result in critical injuries and can permanently alter the life of the person involved. The more serious physical injuries may require an extensive recovery time and can result in expensive medical bills for treatment and rehabilitation, in addition to lost wages from missed time at work. 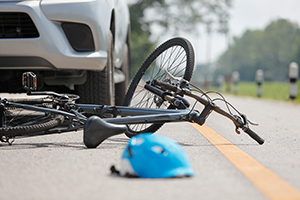 It is imperative that any New Hampshire resident involved in a bike accident understand they have legal rights and can pursue compensation from any parties deemed at-fault for the collision. The New Hampshire bike accident lawyers at Tenn And Tenn, P.A. are committed to helping accident victims get the compensation they need to recover from their injuries and will work to ensure his or her legal rights are protected from the time of the accident and beyond. To discuss your case with a member of our law team, call us at (603) 624-3700 or on our toll free injury helpline at 1(888) 511-1010 for a free consultation.